The Department of Education has one limited-period Education Specialist III position from April 29, 2019 to April 28, 2021, available based in Augusta. Statewide travel is required. This is professional services work in planning, developing, coordinating, administering and evaluating Career and Technical Education (CTE) programs for which CTE schools and school administrative units are provided customer services, direct and brokered technical assistance and feedback on Maine Department of Education best and most up-to-date practices. As well as providing assistance to CTE schools and school administrative units across the state, this position provides support and guidance related to CTE Standards and Assessments, as well as additional support to assigned, individual CTE schools. This position also provides guidance for new CTE program development, programs of study, career pathways and CTE Intersections with all content areas. Responsibilities include working with local, state and federal officials in developing, implementing and coordinating statewide CTE programs, including implementation of evaluative techniques in the context of comprehensive CTE school reviews and Perkins grant reviews in order to ascertain the effectiveness of programs and program expenditures, as well as counseling CTE schools on the connections of their programs to overall Maine educational standards, assessment systems and MDOE initiatives. The position specializes in CTE technical standards, assessments, and work-based learning, including pre-apprenticeship as well as new CTE program approvals and CTE programs of study. The position will also participate in the development of MDOE rules and regulations as needed by CTE legislation. Work is performed under limited supervision and supervision is exercised, during the fulfillment of specific educational projects, over assisting support staff. KNOWLEDGES, SKILLS AND ABILITIES REQUIRED: These are among the requirements to successfully perform the work assigned. Knowledge of educational curriculum, standards and assessments. Knowledge of educational theory and methods. Knowledge of computer spreadsheets and word processing software. Knowledge of technical standards preferred. Knowledge of current learning research and exemplary educational practices, particularly related to standards and assessments. Knowledge of Career and Technical Education Programs of Study, Articulations and other Post-Secondary Pathways. Ability to establish and maintain working relationships with the educational, business and government community. Ability to work in a small team and across disciplines. Ability to provide effective oral and written communication to the field. Ability to write concise reports and descriptions. Ability to interpret Department of Education policies and programs. A Bachelors Degree in Education or required specialty/subject area and four (4) years professional level experience in required specialty/subject area. A Masters Degree in Education or required specialty/subject area may be substituted for experience on a year-for-year basis. 20a. If you wish to take advantage of this preference and are a person with a disability, please provide a statement on professional letterhead certifying that a qualified professional with advanced training related to disabilities is verifying that you are a person with a disability who has a physical or mental impairment that substantially limits one or more major life activities. 21a. If you wish to take advantage of this preference, please submit documentation here. For Ticket to Work, please provide documentation from the Social Security Administration that you receive disability benefits. 22. 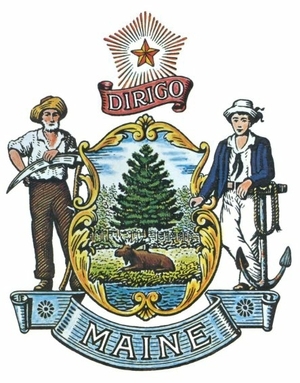 For more information on the Disability Preference, visit: http://legislature.maine.gov/statutes/5/title5sec7054-C.html and Social Security Administration’s Ticket to Work Program, https://www.ssa.gov/work/.